Office Apps: Nowadays office applications are very useful for the people to complete their office works on Android Smartphone. These office applications allow people to create powerful documents, presentations, spreadsheets and many more on mobile phones. Now office apps comes with cloud integration so that people can directly access the files from cloud, edit, or they can save them online. 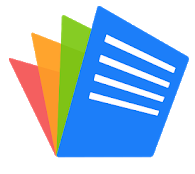 Generally, the play store offers an exclusive collection of Android best office apps. 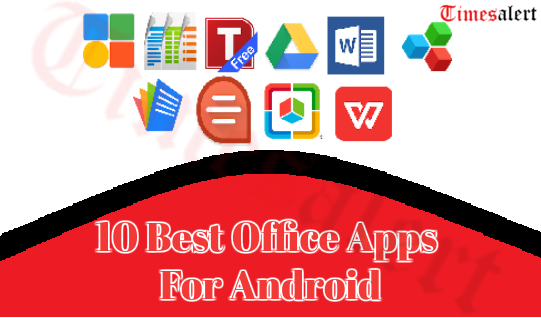 But, we have saved a lot of apps related to office and provided a list of top best office apps 2019 for Android. So, all these apps are free to download and you can use this app using the internet. Although some of them have pro versions and extra features are available for in-app purchase. If you are looking for the best office apps then you are in right place. Now we here gathered and provided the few office applications. WPS Office – Once upon a time, it is known as Kingsoft office. 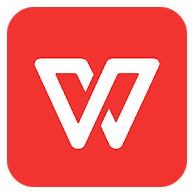 WPS Office easily used for presentations, spreadsheets and writer etc. One of the best office applications of 2019 that supports all the Microsoft office needed on Android Smartphones. The apps designed with a clean and clear interface where the user can create Excel sheets, presentations, PDF or MS word documents etc. It comes together with EverNote and supports wireless printing and forty languages also. Easy to share or transfer the documents. This app supports 51 languages and all office files formats. 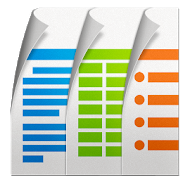 Microsoft Office – A trusted word app for Android devices. 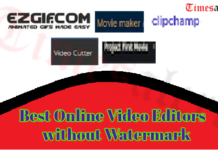 By using this person can create, edit, view, and share your files with each other very easily and quickly. You can view your files and edit the office files which are attached to emails. It introduces a PDF reader for the users to make PDF files read very easily. So, people can read their eBooks, any official information and many more using this app while traveling. You can do whatever your want on your Android Smartphone’s using the internet and using this Microsoft Office. It sharing feature is very simplified. The user can read, write and edit very comfortably. Create with confidence and collaborate with anywhere, anyone. OfficeSuite – The best application for Android Smartphones. With the help of this app users can create a word, excel, PowerPoint, and other advanced PDF operations. It is fully compatible with all Microsoft formats like DOC, DOCM, XLSX, XLS, PPT, PPTX and many more. All PDF files including PDF scanning, export to PDF and fillable forms are supported by OfficeSuite. Not only that this app has an advanced additional supports for common formats like CSV, EML, ZIP and more. The user can store up to 5GB documents in the cloud. It supports more than 40 languages. The text-to-speech supports documents and PDFs. It is integrated with File commander to access the local and remote files. 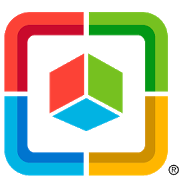 Polaris Office – The latest version office application for Android devices. So, after using this application you can experience the complete office suite. They are MS Word, Excel, PowerPoint and Adobe PDF. It supports formats like DOC, XLS, PPT, PPTX, TXT, ODT, and PDF. Almost it includes 18 global languages like English, French, Japanese, German, Russian and more. It has default cloud and also includes Google Drives, Dropbox, and OneDrive. 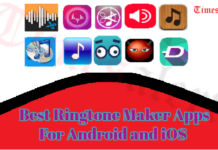 Also go through the best News Applications Of 2019 here. It improves your skills and enhances your creativity with handwriting input. The user can directly take pictures from the camera to document file or insert video clips from Android Smartphones. You can easily access anytime, anywhere and any device. Docs To Go – Founded in the year 1984 and the best productivity app for both Android and IOS. Where users can easily create, view, edit, and share their document to others in an easy manner. 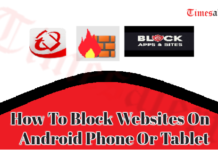 One of the oldest and best android office apps which are available in the market. The user can easily locate and open your documents because it is a simple file explorer. Docs To Go includes all updated features like word processing, spreadsheet editing, and presentation editing also. Without any registration, you can do your entire works using the internet. The user can easily save change directly to your device, multiple cloud services, and memory card. It can change paragraph alignment also. It includes excellent sheet features like extensive cells, number, and sheet formatting options in the application. 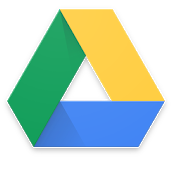 Google Drive – Developed by Google where you can access all your word, excel and PowerPoint documents easily. Once, you can store the Microsoft Office file in a Google drive then you can use it in office compatibility mode. So, it includes Google’s docs, sheets, and slide apps. Also, it serves as a hub when you open the document automatically open in an appropriate app. Google drive interface is very easy to use and straightforward. This is available for free. The users can use their device camera to scan the paper documents. It enables the viewing of files offline. You can quickly access the recent files. 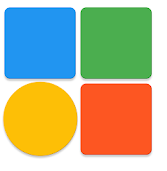 SmartOffice – Another best office application on Android devices. So, it is fully featured and easy to operate on mobile phones. Also, you can create, edit, view, and share your Microsoft Office documents to your friends. Along with advanced features, it includes the formatting styles like bold, font, color, and italics etc. The user can access the files from MS Word, PowerPoint, and Spreadsheet etc. It has cloud support. So, you can open and save documents to the cloud with Google Drive and Box, Dropbox. Password Protection support: You can view, edit, and save your important files on your device. It includes all formats for new document creations. Quip – A newer office application in the market. It is a small place for office work to create living documents on Android devices. Along with the creation of documents it combines the chats, docs, task lists, and spreadsheet in only one app. You can also share your grocery lists with your family. Always you can chat with other group people or team on docs and projects. The collaborative tasks list supports real-time checklists. So, you know that as soon as someone finishes the work or task. You can take notes in the office and edit them from your Android devices. The user can organize the task list from home or the office. AndrOpen Office – The world first Open Office application on Android devices. A completely powerful office suite for Open Documents format. So, users can easily edit, create, and view their important office in this app. 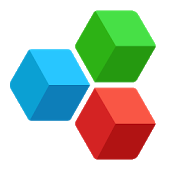 This app is an office suite for 5 components such as Writer, Impress, Draw, Calc, and Math. The user can import and export different formats such as DOC, XLS, ODT, ODP, ODG, ODF, PFD and many more. It is a high fidelity. You can save docs to extensive file formats. The user can export docs to PDF. 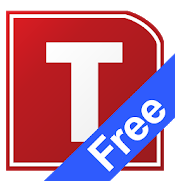 Free Office – One of the best office app in the market. 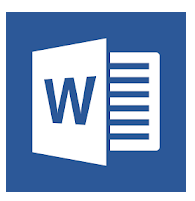 By using this you can edit and save all .doc and .docx files from Microsoft Word without losing any content and format. You can open and save the password protection Word files also. It has advanced features to export the PDF files directly within the app. Along with files, you can insert the pictures from the built-in camera and the photo gallery. Always it includes character formats like bold, italic, font and size etc. It supports the formats like DOC, DOCX, DOCM and more. This app includes 33 languages. It also includes document statistics like keystrokes, word, characters, and sentences, etc. In this article, we mentioned the best office apps for Android which is most popular in the market. Also we include the features of all those office apps. By using the above-mentioned office apps users can create, edit and view their important files on Android Smartphones. For more information about Android Apps, you can visit Timesalert.